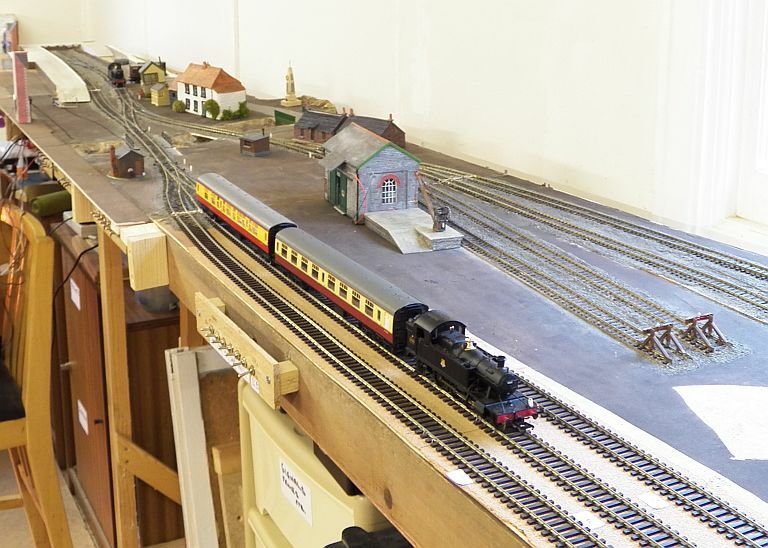 The event went very well indeed, with a steady stream of visitors. 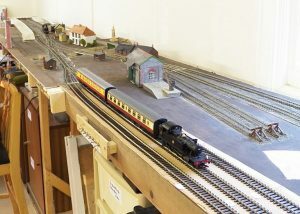 The Albert layout ran for most of the time, whilst Tom hovered around his sales tables and Lyn and June organised drinks and eats in what space remained in the socal room. 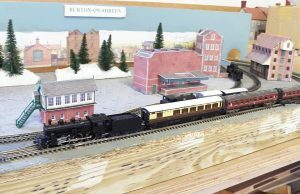 The n-gauge Burton on Shreen layout was kept running for most of the day, playing host to some distinctly un-British locomotives for a while. The OO club layout advanced to being able to run trains end-to end, as minor issues were found and dealt with. 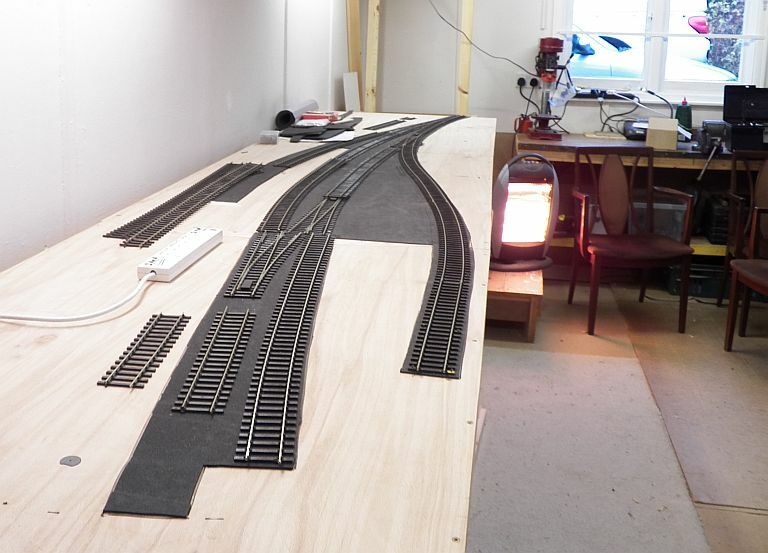 My feeling from the comments was that visitors found it as interesting to see people working on the unfinished layouts as they would if we had been exhibiting the completed items. It was also very noticeable that considerable progress was made on the projects despite explaining the finer points of what we were doing to visitors.